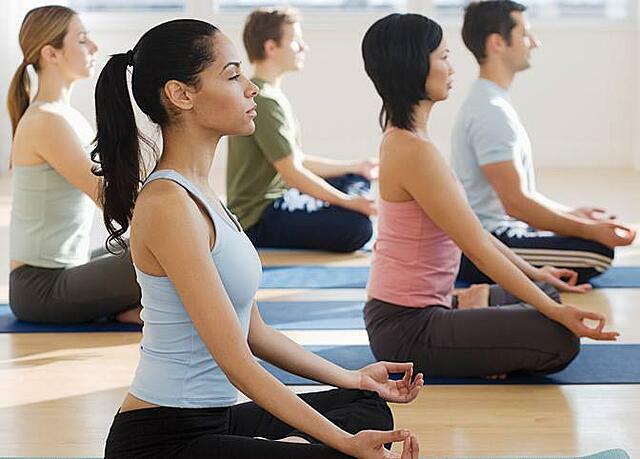 At Milestone, you can choose from various styles of yoga. Focus on experiencing bliss and joy in your yoga practice and daily life. Based on universal principal of alignment. A heart based yoga class emphasizing principles of alignment and concluding with a meditation. Body, heart and soul are integrated so you can take your yoga anywhere. Open your body gently yet deeply, releasing layers of muscle tension in the back, hips, shoulders and core. Props are used to support and clearly align the body. This class is an excellent complimentary practice for athletes, yoga practitioners and those looking for relief from the aches and pains of daily living. 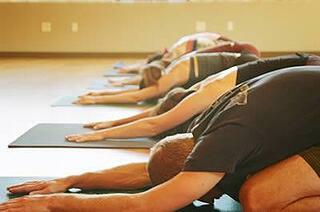 General yoga practice designed to increase strength, flexibility, balance and concentration. This class uses yoga props and moves at a gentle pace to aid those who have specific limitations and those recovering from injury. Each class includes stress release through breathing instruction and guided relaxation. This class will teach the fundamentals of a yoga practice. 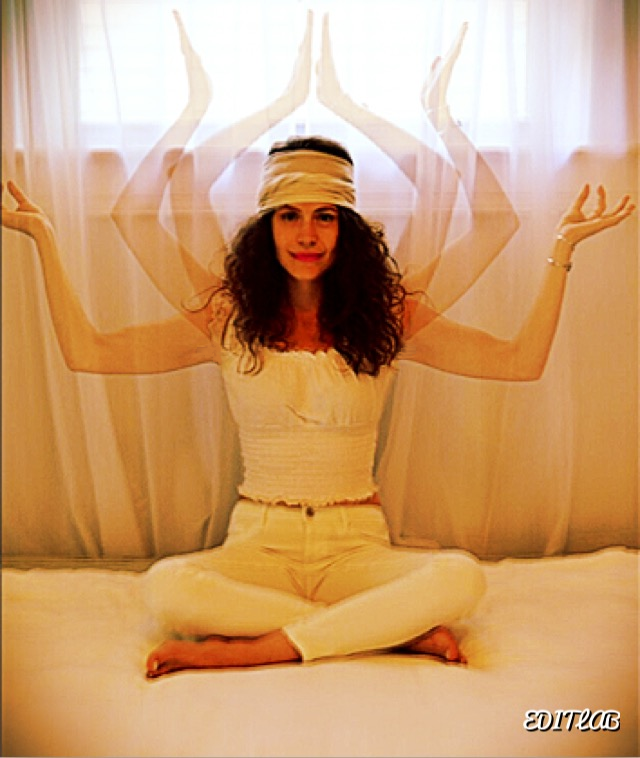 Kundalini is known as “the yoga of awareness”. Using movement, breath, body locks, and mantra we activate the kundalini (life force energy that lies at the base of the spine), and move it upwards in order to experience physical vitality and higher levels of consciousness. All levels welcome. This class is tailored for men only. An emphasis is placed on balance, flexibility, strength and relaxation through various postures and techniques. All fitness levels are encouragted to participate. Practicing the Om sound slows down the nervous system and calms the mind, like meditation. If the mind is relaxed, this will help decrease blood pressure, which will in turn improve heart health. A dynamic sixty-minute yoga class that is physically challenging and spiritually energizing. A great option for a time-efficient but complete yoga class! 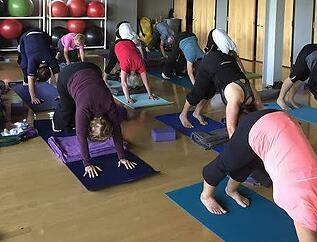 A dynamic alignment centered flowing class focusing on strength and breath. Classes are designed around inspriring themes that engage the mind, body and soul. Tabata utilizes alternation between work and rest for periods of time in a sequence of eight repetitions. This practice lends itself to yoga: holding a pose for 20 seconds, then resting for 10 seconds and repeating brings one to nirvana. Class is exclusively at Milestone, created by Jeff Howard. Vinyasa means to link: to your breath with a pose and / or to link poses together in a sequence and flow. Some prior yoga experience needed. This class focuses on building full body strength and flexiblity using universal alignment and movement principles, breathing and Vinyasa. Vinyasa Krama (practicing in stages) is implemented to allow each student to progress at their own pace and present skill level with safety. A guided relaxation/meditation technique that is intended to induce full body relaxation and a deep meditative state of consciousness. It pacifies the body and quiets the mind by discharging muscular, nervous, mental and emotional tensions. Participants should wear comfortable clothing and be able to lie down for 45 minutes. Blankets, bolsters, mats and eye bags will be provided. 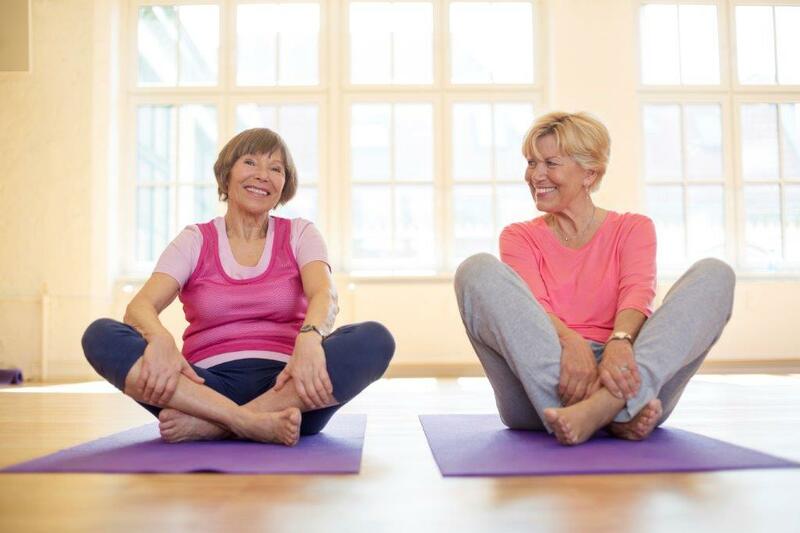 SEE GROUP EXERCISE CLASS SCHEDULE FOR YOGA CLASS OFFERINGS.